For a Hallandale Accident Attorney you can depend on, call Robert Gluck at the Law Offices of Robert E. Gluck, P.A. He has been a lawyer since 1989 and is highly skilled and experienced at providing legal guidance and representation to victims of accidents. If you've suffered any injuries from an accident that wasn't your fault, call us today. 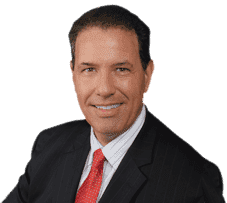 Whether you've been injured in a car accident, fell on someone else's property, got injured by a defective product, or had any other accident, you should call Hallandale Accident Attorney Robert Gluck. He will immediately launch a full investigation into your claim and work to prove negligence existed at the time of your accident in order to move forward with your case. Negligence is the legal standard of care one must follow to avoid injury to others. Your Hallandale Accident Attorney Robert Gluck will gather all the evidence he needs to build a strong case for you. He will locate and speak with witnesses, take photographs of the accident scene, secure video surveillance, and obtain any other evidence he feels is necessary. When you hire Robert Gluck to be your Hallandale Accident Attorney, he will go above and beyond to fulfill your needs. He is completely dedicated to his customers and will handle every detail of your case from beginning to end. He will take care of the legal process so you can focus solely on healing your injuries and moving forward with your life.